Ginger is one amazing spice. It is used in a large variety of foods, not only for its outstanding flavor but also for its medicinal purposes. Ginger has been used to aid in healthy digestion, to break fevers, to reduce nausea, to act as an antibiotic, to boost the immune system, and even to help with overall gut health. 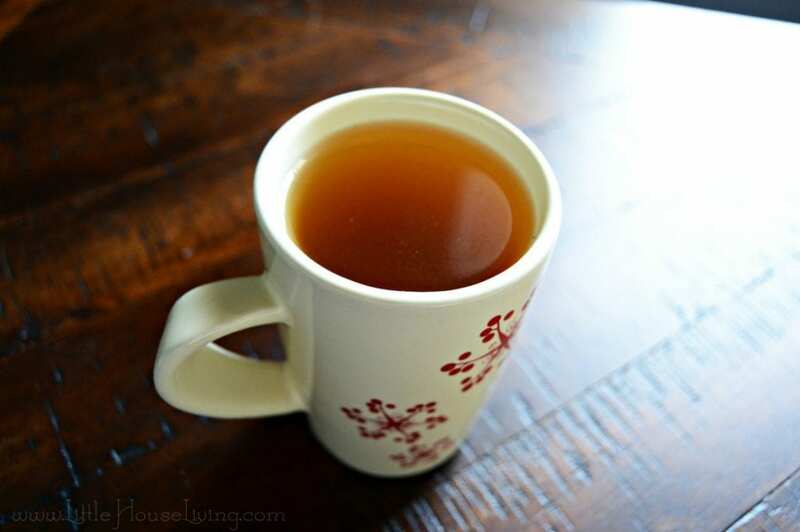 Ginger Tea is simple enough to make for a beginner and only requires a few ingredients. Best of all, the recipe we use utilizes fresh ginger, which will ensure you get the maximum effects from the ginger itself. While ginger has a strong, sometimes spicy flavor, when it’s cooked properly as a tea, the flavor is rich and enjoyable! Another great tea to try is this Strawberry Apple Fruity Loose Tea. It’s a wonderful blend of fresh fruits and tea! Peel the ginger root, and then cut it up into about 1-inch size pieces. Add the ginger and the water to a medium sized pot, and bring it to a low boil. Allow it to simmer on low for about thirty minutes. Remove the ginger from the pot, and stir in the lemon juice, cinnamon, and honey. Serve the tea hot for best results. 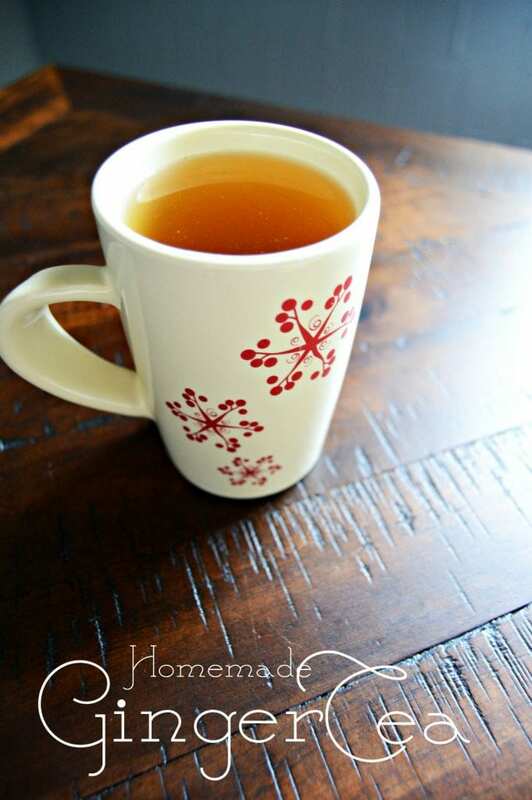 This simple Ginger Tea recipe is perfect to help settle stomachs. When a food just didn’t sit right, or you’re coming off a long drive and are experiencing motion sickness, knowing how to make Ginger Tea can help. Not only does it help aid in stomach pain, but it also helps regulate your digestive system for overall gut health as well. 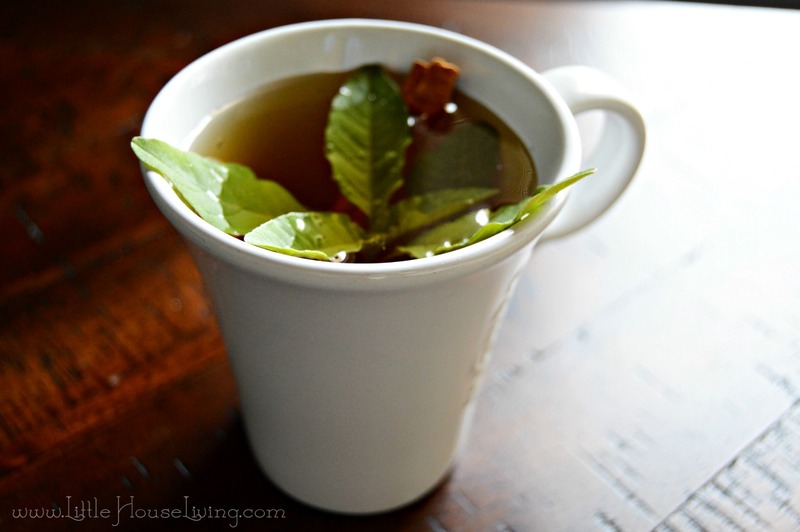 Brew a pot of Ginger Tea anytime you’ve been exposed to a sickness as well. Ginger is a powerful immune booster and has even been used as a natural antibiotic. Your body can benefit from the aid of ginger in so many different ways! You can also use Ginger Tea when you or a loved one is suffering from a fever. People have often used ginger to help break high fevers and bring relief to the sick. It’s safe, and gentle on even an empty stomach, so Ginger Tea is a great option for those who are ill. If you try out this recipe, let us know in the comments how you liked it! 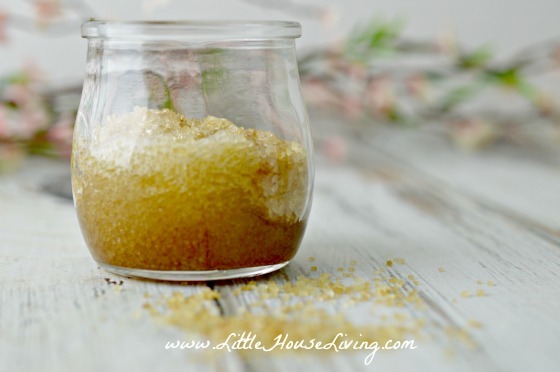 How do you use ginger in your home and for yourself or your family? Do you use it for any ways we didn’t mention? Share it with us in the comments below. Want to make your own tea from start to finish? Here’s how to grow Lemongrass and make it into tea. You can even go as far as learning How to Make Tea Bags! How much powdered ginger would I use per cup? I don’t generally have ginger root on hand. Thanks! I have some ginger that is like a paste from a tube. How much should I use to make this tea? Thanks for the recipe. 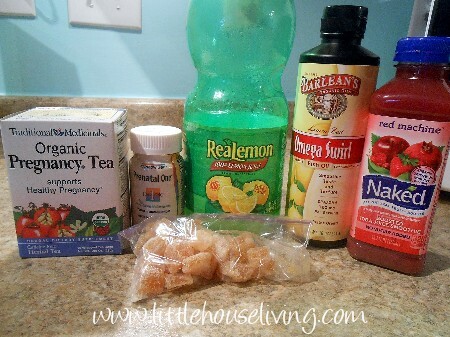 I used ginger tea YEARS ago when I had morning sickness, and it helped a lot. It never dawned on me to make it from scratch because I thought surely there was some magic fermenting or flavoring secret! I think it would be helpful to have an amount of ginger. The root sizes vary widely. Also, is that a picture of your ginger tea? Mine is never dark like that. Thanks. Could the tea be made in advance and stored in the fridge and reheated? Thank you. I am not a tea, coffee or hot chocolate drinker and am always looking for something warm to sip on in the winter months. I’m going to give this a try even when I don’t have an upset stomach. WOW!!! I have never realized Ginger had so many medicinal purposes…..Ginger has been used to aid in healthy digestion, to break fevers, to reduce nausea, to act as an antibiotic, to boost the immune system, and even to help with overall gut health…..that is amazing!!! Omgosh, I LOVE ginger tea. This reminds me of something my grandpa used to make when I was sick. It’s so soothing. I love ginger tea! 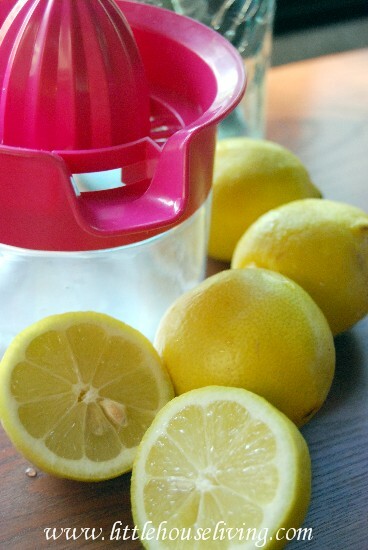 This is a great remedy for cold and flu season. Pregnant women should be aware that using ginger medicinally does have side effects. It lowers blood sugar and can intensify the effects of blood thinners or symptoms of clotting disorders. Women who want to use ginger for morning sickness should discuss it with their doctor or a trained herbalist or pharmacist. This is good stuff. You have to experiment with the size of the root that you need but also when cutting the ginger I prefer to slice it thinly and in somewhat diagonal slices. This increases the surface area on the ginger and helps pull out the maximum flavor. If you slice it thin enough you won’t have to simmer for the full 30 minutes. Taste test it until you get it to your liking.